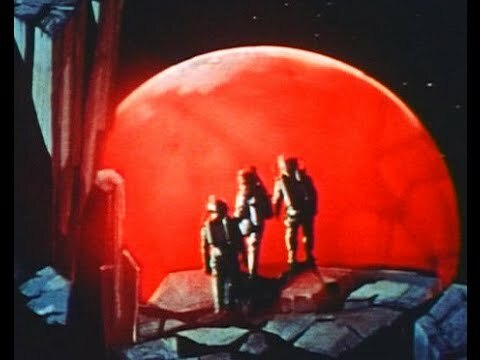 Great looking movie from the Soviet Union about an attempt to land on Mars. The designs and effects seem crude now but considering this was 1959 makes it the major reason to see this one. An Americanized version was released in 1962. The Associate Producer was Francis Ford Coppola. An atomic war in November 1997 has destroyed the world as we know it. There are now just two countries, North Hemis and South Hemis. On board a space station North Hemis is ready to have a manned mission blast off to Mars. Then a ship from South Hemis radios that they’re in trouble and need to make repairs. They get permission to land. They discover the plan and decide they’ll get there first. After a friendly dinner they knock out a guard and take off in their own ship. That makes the North Hemis speed up their mission. The guard who was knocked out was supposed to go but a minor concussion keeps him back. On the way to Mars the South Hemis ship is being pulled into the Sun. The North Hemis forgo their Martian trip and mount a rescue mission. It’s a success and they take the two astronauts on board. They can only look out the window and watch their ship head for destruction. The North Hemis ship is low on fuel and can’t make it back to the space station. They land on an asteroid orbiting Mars called Angkor. They don’t know a couple monsters are roaming around. A pilotless fuel rocket is sent but it crash lands. They’ll have to send as manned fuel rocket and the guard who missed out on the mission is elected to be the pilot. Now comes the failed segment. The fuel rocket lands and the pilot runs afoul of the monsters who are intent on destroying each other. The pilot is killed but before expiring manages to tell the crew where the rocket landed with the fuel to get them back. The monsters are really laughable and shouldn’t have been added to the Americanized version. If you’re not looking for a real solid story check it out for the designs etc. It was well staged. 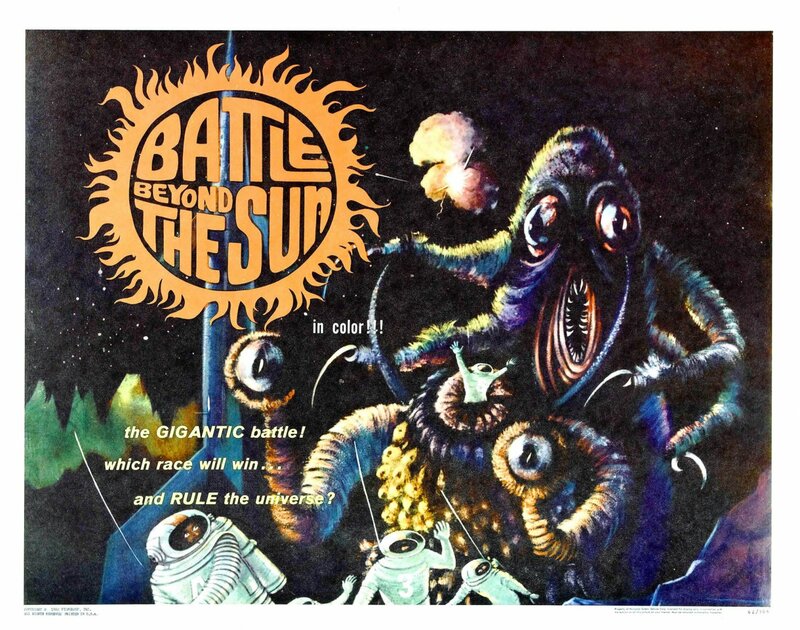 This entry was posted in Science Fiction, vintage movies and tagged Movies. Bookmark the permalink.